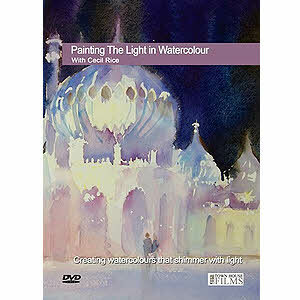 Cecil Rice is a British artist living and working in the UK. He paints, mainly in watercolours and oils. Cecil exhibits regularly in the UK at galleries in London and the South of England. Exhibitions have included solo shows in Cork Street, London. He also exhibits each year in the Brighton Festival.His paintings and limited-edition prints are widely collected. His subjects include the city of Venice, Mediterranean light and landscape, the sea and shoreline of his home town, Brighton. Cecil's focus as an artist is on portraying light and atmosphere through subtle use of colour whilst underpinning his paintings with well-planned composition, mainly achieved through drawing. He often draws and paints out of doors, on location, because he feels that this discipline supports his studio-based work. He develops his subjects further in the studio.